My first solo album…I’ve been kicking some of this stuff around since the early 90s, but recently I have found the energy to push it to a conclusion. One thing that spurred me on was the release of hull down by The Lines, thanks to the dedication of the great Dan Selzer at Acute Records. I think finally getting that out after 35 years on the shelf opened up some kind of floodgate and and led to the completion of these tracks. And there will be more. The album is named after a cabin I was lucky enough to have in the early 00s in the misty mountains of Malibu, on the property of my good friend Damon Byrd. That structure was itself named after a cabin on the nearby ranch of movie costume designer Tony Duquette. After a canyon fire destroyed much of Duquette’s ranch Damon was allowed to salvage some damaged artifacts, including a washbasin once used by many a vintage Hollywood star in the original Frogmore. The title song is a kind of audio diary of the years I owned the cabin. 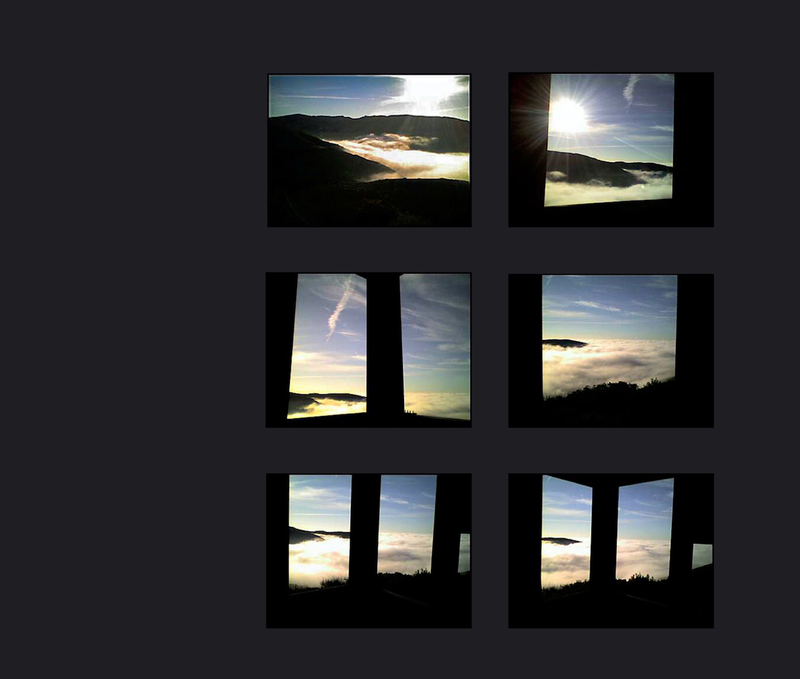 The album art images you see above were photographed from the cabin window early one morning back in 06, with my flip phone, it being the only camera I had at the time. But they represent a typical view and atmosphere of the area. The first track Mustang is named after a Japanese Fender Mustang copy I bought back in 1974, my first electric guitar, which I still own. The main riff of this song is played on the Mustang. The main riff of The Lines’ first single White Night was also played on the Mustang, and this song does share some thematic elements with that earlier opus. Fluxus is the oldest track here, the middle synth section having been executed on a Korg Mono Poly back in 1994. Over the years I gradually added more parts, and the vocal was recently added, inspired by current events. Mercury is the most recent track. It evolved from another project, On A Wire, an album composed entirely of guitar sounds, which I plan to release later. For this version I added some drums. So, dear reader…click here and you will be transported to my Bandcamp page, where you can listen to and, I hope, purchase my work. Anyone paying $10 or more will get a postcard from me. Looking forward to your coming releases!